The programs raise legal and ethical questions, including whether they create an uneven playing field for defendants and financial incentives for prosecutors to dispose of cases in ways they might not otherwise. This story was co-published with the Journal Star, Rockford Register Star and State Journal-Register. After he was charged in January with burglary, D’Angelo Springer had a decision to make. Springer, 24, had been pulled over after running a stop sign in Kankakee County. He was giving a ride to an acquaintance, who had an arrest warrant in a neighboring county. When officers searched the car, according to police reports, they found a checkbook behind the passenger seat that had been taken in a car break-in. Springer denied he was involved, but he was charged with felony burglary, which could have sent him to prison. Before trial, the Kankakee County prosecutors gave Springer another option: He could enroll in a new diversion program the county was offering. If he completed the program and performed community service, his charges would be dropped. Signing up for the program cost $250, money Springer would have to scrape together. “They were saying: ‘This is a good deal. You should take it,’” Springer said recently. “I didn’t really know I had another option.” Frightened by the prospect of prison, he agreed to the diversion program. 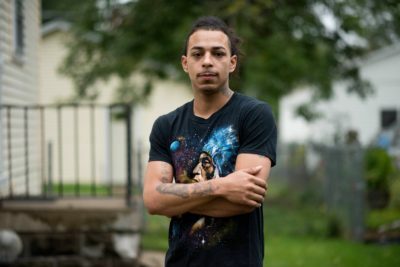 Diversion programs like the one in Kankakee County, which launched last year, raise a host of legal and ethical questions, including whether they create an uneven playing field for criminal defendants, with those able to pay gaining an advantage over those who cannot, and whether they create financial incentives for prosecutors to dispose of cases in ways they might not otherwise. Administered by a for-profit company called CorrectiveSolutions, the Kankakee County program and others like it require suspects to pay fees and take courses related to their charges — some of the courses in person, others through interactive online seminars. Prosecutors also may add conditions such as community service or drug or alcohol testing. Fees are divided between the companies and the prosecutor’s office, though the companies typically receive most of the money. Kankakee is one of 24 counties in Illinois that contract with CorrectiveSolutions, or a sister firm, Victim Services Inc., to run fee-based diversion programs. Twenty-two of those counties use programs to manage bad-check cases, the company’s bread and butter, though as the use of checks has declined CorrectiveSolutions has expanded to offer diversion programs for other, sometimes more serious crimes, including theft, drug and alcohol offenses, and even domestic violence. At least 10 Illinois counties contract with another firm, BounceBack Inc., that offers diversion programs for suspects in bad-check cases. Kankakee County also has a contract with BounceBack. With about a third of Illinois counties contracting with one of the two companies, Illinois is a hotbed for the for-profit diversion industry. Nationwide, nearly 200 prosecutors’ offices in at least 22 states contract with CorrectiveSolutions or BounceBack, according to a February report by the American Civil Liberties Union. Officials at CorrectiveSolutions say they operate in approximately 100 jurisdictions. 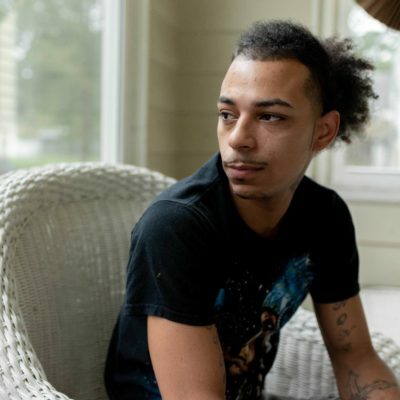 The expansion of private, for-profit diversion programs comes as states struggle with the costs of their prison populations and counties grapple with their own financial woes. But it concerns criminologists and others who see in it the intersection of two troubling trends: the outsourcing of crucial operations of the criminal justice system to the private sector, and the growing imposition of fees on mostly low-income defendants. Some counties have received tens of thousands of dollars from programs, others much less. There is concern, too, that long-standing disparities in the criminal justice system between the poor and well-to-do will only grow, with wealthier defendants able to pay to make criminal trouble disappear. 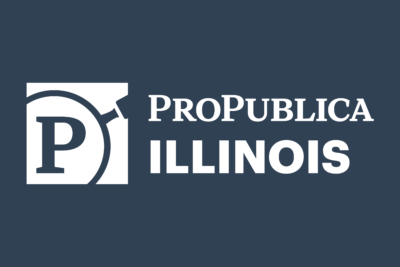 Through Freedom of Information Act requests, ProPublica Illinois obtained contracts, program reports and internal communications from more than 30 state’s attorney’s offices in Illinois that contract with CorrectiveSolutions, Victim Services or BounceBack. The records suggest that there is little oversight of the programs, although the companies dispute that, and that the programs often generate more money for the companies than for prosecutors’ offices. Company officials say that the programs are no different than other services the justice system hires outside companies to perform, such as information technology. They say they are well-suited to manage the programs. The officials say, too, that the programs help keep defendants out of jail and reduce recidivism. Gale Krieg, the president of BounceBack, said in an email that the company has helped state’s attorneys across the country recover millions of dollars for victims and helped defendants avoid a “criminal record that would be with them the rest of their life.” The company, he said, does not decide how cases are handled. Prosecutors, meantime, say the programs help the criminal justice system work more efficiently, keeping offenders out of jail, which cuts down on incarceration costs, and generating new revenue streams for cash-strapped offices, even if those streams are relatively small. At the same time, they give offenders a second chance, the prosecutors say. Marlow Jones, chief of the criminal division for the Kankakee County state’s attorney’s office, said its diversion program is a smart alternative to traditional tough-on-crime tactics that focus on locking up people. He said he always tells offenders who claim innocence that they are entitled to their day in court. “Our goal is to try to help people be accountable for what they did without putting a permanent stain on their record,” Jones, who oversees the county’s diversion programs, said in an interview. Matt Jones, the associate director for the State’s Attorneys Appellate Prosecutor, a statewide office that assists Illinois prosecutors, said privately operated diversion programs allow prosecutors with dwindling resources to meet the growing demands for criminal justice reform. What is now CorrectiveSolutions opened in Illinois in 1998 as American Corrective Counseling Services, although over the past two decades the company has undergone a number of corporate changes. Today, it often does business in Illinois as Victim Services Inc., according to contracts. Within six years, the California-based company was operating bad-check diversion programs in at least a dozen Illinois counties, according to internal promotional materials obtained by ProPublica Illinois. 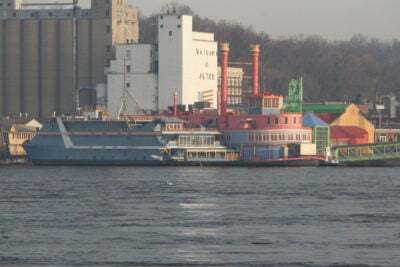 BounceBack, which is based in Missouri, began its operations in Illinois about a decade later. The initial business model for both companies was simple: If someone bounced a check, merchants could save themselves the trouble of filing a police report and criminal complaint by passing the contact information for the check writer to the companies, which also market services to merchants. 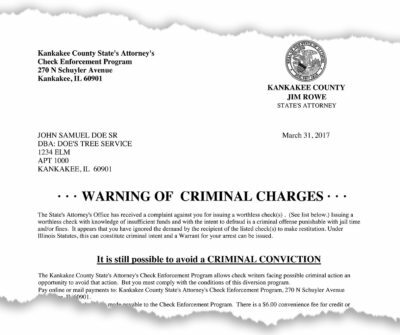 Merchants, which can sign up for some of the services online, sometimes send bad-check cases directly to the diversion companies, before they’ve even crossed a prosecutor’s desk. The companies say that prosecutors establish criteria for entering a program and review a candidate’s eligibility before they are contacted. It is also a time-saver for prosecutors, who otherwise might have to add a case to their dockets. 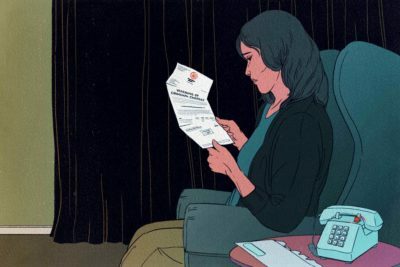 Under Illinois’ criminal code, writing a bad check can be a “deceptive practice,” a misdemeanor punishable by up to one year in jail for checks up to $150, and for checks of $150 or more a felony with a prison term of up to three years. The companies run the classes and almost every other aspect of the diversion programs. Some prosecutors provide companies a digital copy of their seal for use in communications with offenders. The first step typically is a letter that warns the check writers of the possibility of time behind bars or a fine. The letter offers the check writers a chance to avoid prosecution in exchange for completing the program, which typically includes paying restitution, signing up for a class on financial accountability or a related subject, and then paying any attendant fees. Class fees for diversion programs in Illinois range from $125 to $175, according to contracts involving CorrectiveSolutions and BounceBack reviewed by ProPublica Illinois. Administrative fees add another $25 to $35. And then there are fees for enrolling in a payment plan or rescheduling a missed class, according to the contracts. All of that is in addition to the amount of the bounced check and any convenience fee merchants charge. Many counties’ contracts with the companies include an automatic increase in class fees each year. As a result, people who bounced checks for as little as $5 can end up paying upward of $300. 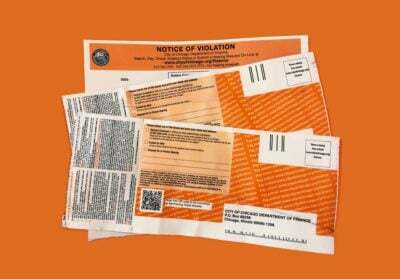 Program reports show it’s not just businesses that refer bad checks to diversion. School districts, county health departments and circuit court clerks around the state also referred people to the companies after they had been accused of writing bad checks. Counties pay nothing for the programs, but CorrectiveSolutions and BounceBack keep the lion’s share of the fees, including the entire class fee. CorrectiveSolutions, its contracts show, typically gives prosecutors a percentage of the administrative fees collected, while BounceBack usually levies a $30 to $35 processing charge, $5 of which goes back to the state’s attorney’s office, according to documents and interviews. Though the companies receive the bulk of the fees from the programs and handle most of the paperwork, they have in at least one case discouraged a prosecutor from mentioning their role. In 2017, emails show, Krieg asked the Kankakee County state’s attorney’s office to remove BounceBack from its website. Both BounceBack and CorrectiveSolutions have been targeted by lawsuits alleging they are, essentially, collection agencies, and unethical ones at that, charges they dispute. The lawsuits alleged the companies charged excessive fees and used prosecutors’ letterhead to conceal their identities and pressure consumers to pay the fees. In one case, a special prosecutor in Champaign County was appointed in 2001 to investigate, among other things, whether American Corrective Counseling Services was operating as an unlicensed debt collector. That case was brought by a lawyer who had gathered stories from people such as Vicki Rochester, a grandmother in central Illinois who bounced a $25 check when she tried to buy a wind chime from her grandson’s charitable organization. Rochester repaid the money but said that American Corrective demanded $160 and Rochester’s participation in an eight-hour financial accountability class. The following year, a judge ruled American Corrective was indeed acting as a collection agency and ordered it to register as one with the Illinois Department of Financial and Professional Regulation. Under state law, registered collection agencies must identify themselves clearly in communications with debtors, refrain from impersonating government officials and charge “reasonable” fees. In 2003, the Illinois General Assembly passed an amendment to the criminal code authorizing state’s attorneys to establish bad-check diversion programs and exempting the companies from the definition of collection agencies and the stricter regulations. The measure was backed by a number of state’s attorneys, and it passed both houses of the General Assembly with little opposition. American Corrective also spent $660,000 on federal lobbying between 2003 and 2006, the year Congress passed a measure providing the companies a similar exemption from collection agency regulations. Paul Arons, a consumer rights lawyer in Washington State, said the laws only hurt consumers. 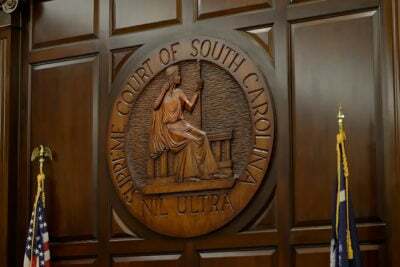 “These statutes were lobbied for by the company and enacted to insulate them from litigation,” he said. Since 2001, Arons has filed one class-action lawsuit against BounceBack in Washington which led to a $530,000 settlement, and three lawsuits against CorrectiveSolutions, though some were filed under the company’s other names. In 2009, settlement discussions in a California lawsuit brought by Arons were ongoing when American Corrective Counseling Services filed for bankruptcy protection and sold its business to a newly incorporated company, National Corrective Group, doing business as CorrectiveSolutions. Another suit settled for $3.25 million in 2014, according to Arons and court documents, while the third lawsuit, filed in in California in 2015, is pending. That same year, CorrectiveSolutions agreed to a $50,000 penalty as part of a settlement with the Consumer Financial Protection Bureau. The company did not admit wrongdoing, but it agreed not to pass itself off as a prosecutor’s office or to send letters to check writers without obtaining approval from prosecutors. Jonsson declined comment on legal action involving American Corrective, saying that it was a “different company under different ownership and different leadership.” But, he said in an email, CorrectiveSolutions employees “never passed ourselves off as the prosecutor’s office or sent letters that were not approved.” He declined to comment on ongoing litigation. Sally Tirey, 65, said that she began getting letters and phone calls from Victim Services, one of CorrectiveSolutions’ sister firms, during the summer of 2016, after she wrote a bad check for $295 at an herbal supplements store in Macon County. Tirey, who at the time lived in neighboring Christian County, told the merchant a disability check she had given to a relative to deposit was instead cashed, leaving her overdrawn, according to an interview with Tirey and records documenting her dealings with Victims Services. Tirey said as soon as she discovered the shortfall in her account, she called the store to try to make arrangements to pay for the items, plus the bank fee, and to return the rest. A manager said the store would need the money and items returned that week. 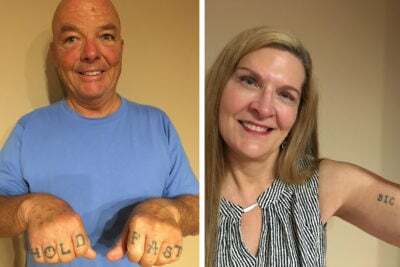 But Tirey said she couldn’t do that; she was out of state for her son’s wedding, she said, and a disability payment would not arrive until the following week. The store sent her case to Victim Services. Tirey received a letter notifying her she was eligible for diversion if she paid restitution for the bounced check, plus $190 for a financial education class and a $35 administrative fee. A former paralegal, Tirey instead visited the Macon County State’s Attorney’s Office and wrote a letter to Victim Services. But the state’s attorney’s office said it couldn’t help her while her case was with the company, according to Tirey, who said company employees would only talk to her about paying the money. They would call three or four times a day… If you blocked one number, they’d just call you from another. “They would call three or four times a day,” Tirey said in an interview. “If you blocked one number, they’d just call you from another.” She said the callers warned her that if she didn’t comply, her case would be sent back to the state’s attorney’s office and a warrant would be issued for her arrest. Jonsson said employees do not use harassment or threats of arrest, and that the company has procedures in place to allow people to dispute allegations against them. Emails obtained through a Freedom of Information Act request show other people suspected of writing bad checks also called the Macon County State’s Attorney’s Office to complain about being placed in a diversion program. Employees at the state’s attorney’s office were instructed to send them back to Victim Services. “I will not speak with them until they are referred to me by the check program for prosecution. I don’t have any information regarding their situation,” the assistant state’s attorney in charge of the program wrote to another office employee. At the end of the summer, Tirey said she received a “final notice of eligibility” for the diversion program, and the calls stopped. But in December 2017, after more than a year of silence and a move to Nebraska, she received a summons indicating that she had been charged back in Macon County with a felony for deceptive practices. Finally, Tirey said she sent $295 and a long letter of complaint to the state’s attorney, Jay Scott. The state’s attorney’s office then declined prosecution. Scott’s office did not respond to multiple requests for comment. As the use of checks has declined, CorrectiveSolutions has sought to expand its programs. In 2011, for instance, the St. Clair County state’s attorney, Brendan Kelly, signed a contract with the company to offer diversion programs for people accused of some nonviolent misdemeanors and felonies, as well as first-time domestic violence offenders. Ten states permit some domestic violence offenses to be diverted before trial, according to the National Conference of State Legislatures. Some experts take issue with the use of diversion in domestic abuse cases because they have high rates of recidivism, and programs that wipe clean abusers’ records may make it more difficult to catch repeat offenders. “By the time they’re caught, they’ve typically been at this for a very long time,” said Vickie Smith, the executive director of the Illinois Coalition Against Domestic Violence, an organization that has opposed the use of diversion in sentencing offenders convicted of domestic abuse. Smith said the expansion of pre-trial diversion for alleged batterers should be approached with caution. St. Clair County’s contract with CorrectiveSolutions lists a number of other additional conditions that prosecutors can add for participants in some diversion programs, including community service and drug and alcohol testing. St. Clair County’s initial contract with CorrectiveSolutions, in 2011, set a $125 class fee, $75 administrative fee and $40 monthly “monitoring fee” to be assessed from participants, plus $35 per drug test and additional fees for rescheduling or entering a payment plan. The state’s attorney’s office received two-thirds of the administrative fee; CorrectiveSolutions kept all the other fees. After a 2016 contract revision, the state’s attorney’s office now keeps the entire administrative fee, but the company has added some additional fees. Since 2012, the program has brought in more than $300,000 in administrative fees, according to figures listed in its June 2018 report. Other counties have found that the bad-check programs did little for their bottom line. In 2017, for example, the Macon County State’s Attorney’s Bad Check Restitution program brought in $210 in fees for the state’s attorney, $2,908 in restitution for victims of bad checks and $4,655 in class and administrative fees for CorrectiveSolutions, according to program reports. CorrectiveSolutions is seeking to expand its programs in other counties. Emails between the company and state’s attorney’s offices show that, in the last two years, the company has pitched a handful of Illinois prosecutors on a new suite of programs, including online classes and in-person classes for both adult and juvenile offenders. This pitch was sent by CorrectiveSolutions to DeKalb County in 2017. One proposal to DeKalb County State’s Attorney’s Office offered a program for teens caught sexting. CorrectiveSolutions is now offering to electronically search court dockets to identify defendants who might be eligible for one of its diversion programs. Already in place in some North Carolina counties, the service was pitched in Illinois to DeKalb County, according to a copy of the proposal. Kelly called diversion programs “a very thoughtful, reform-minded approach that has prevented thousands of people from being branded with a scarlet ‘F’ and winding up in the criminal justice system for the rest of their lives.” Felonies eligible for diversion in St. Clair County include possession of a controlled substance, theft and criminal damage to property. According to program reports obtained through an open records request, 3,094 cases had been referred to St. Clair County’s Offender Accountability Program between April 2012 and June 2018, and offenders had completed diversion in 1,342 of those cases, or about 43 percent of them. Yet when asked how many of the hundreds of offenders were prosecuted after failing to complete diversion or never enrolling, the state’s attorney’s office provided a list of only 11 cases. Kelly said prosecutors refer some cases to a diversion program “because it may be a case which we don’t think we can necessarily make in a traditional prosecution.” He gave the example of a teenager smashing a mailbox, noting that “there are some times where there are just evidentiary issues about whether we can prove who did it,” but where offenders might be willing to make restitution to the victim and go through diversion. Jonsson said CorrectiveSolutions receives bad contact information for many cases referred to it. He said if you remove those cases, the completion rate in company programs is more than 75 percent. Marlow Jones, the Kankakee County prosecutor, said the office approached CorrectiveSolutions after hearing about St. Clair County’s program. The thrust of CorrectiveSolutions’ July 2017 proposal — that the program would be offender funded with no cost to the county, according to the company — had appeal for Kankakee County, where a financial crisis prompted layoffs of prosecutors and sheriff’s deputies. For D’Angelo Springer, completing the program required overcoming a series of small technical and other hurdles. He said he was given a link to register for the course online as well as three upcoming dates. Payment was due when he signed up, but he didn’t have the money because he’d had to quit his job as a forklift operator in a town an hour away after police seized his car when they arrested him. By the time he found another job nearby and saved the $250, he had nearly missed the last qualifying date. When it came time to log in for the course, he didn’t have a computer and couldn’t get the link to work on his cellphone. He called a toll-free number he’d been given to no avail, finally rushing to his stepmother’s house to borrow her iPad. Springer said the online course he took was akin to “getting detention” in school. The on-screen instructor asked participants questions about their personality and how they were feeling that day, telling them to take notes for proof of participation. He periodically typed into an onscreen chat to ask whether he had logged in correctly, but said he never received a response. When the video ended, he said, he was panicked that he hadn’t completed the course correctly and would end up being prosecuted because of a glitch. Jonsson said CorrectiveSolutions’ “webinars use state of the art software and support is available for anyone with difficulty logging in.” All courses are held “either in person or via live, interactive webinar.” Support is also available for anyone who has trouble logging in or otherwise using the webinars. He said that in St. Clair County, the company has awarded close to $4,000 to cover the costs of its programs for low-income defendants. Krieg said that BounceBack also sometimes covers fees for poor defendants. This is an excerpt from the workbook used in required courses for St. Clair County’s Diversion Program. Through an open records request, ProPublica Illinois obtained the 50-page workbook used for courses from CorrectiveSolutions from St. Clair County, which covers offenses ranging from driving on a suspended license to domestic battery. “You may be wondering, ‘Why am I here?’ or ‘How did this happen?’” the workbook begins. “You may be experiencing a wide variety of emotions as a result of being required to complete this requirement of the Prosecutor’s Program. “You are here because your choices and decisions led you to violate the state’s law(s). The purpose of this course is to help you make better decisions which will prevent such a violation from happening again.